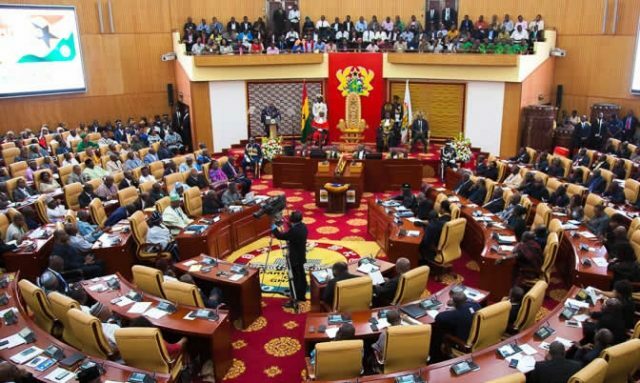 Parliament has approved a loan of 155 million Euros between the Government and Deutsche Bank AG, London Branch, for the completion and equipping of the Maternity and Children’s blocks of the Komfo-Anokye Teaching Hospital (KATH). The loan (€155,043,352.60) is made up of two components; €122,543,352.60 is the UK Export Finance Support Fee whilst the €32,500,000 is for the completion of the project. Mr Kwabena Amankwah-Asiamah, the Vice Chairman of the Finance Committee, who presented the Committee’s Report, said the loan was to help complete the long abandoned KATH Maternity and Children’s blocks to enhance healthcare delivery, especially maternal and child health. It also aims at improving infrastructure in fulfillment of Government’s commitment to ensuring universal healthcare for all citizens and the attainment of the Sustainable Development Goal Three. Mr Amankwah-Asiamah, giving the background of the project, said in 1974 the Kutu Acheampong Administration recognised the need to expand the KATH, and initiated an eight storey 1,000-bed Maternity and Children’s blocks. He said the project was awarded in 1976 by the Central Tender Board, Accra with the construction of the Pediatrics section. It was, however, suspended in 1979 when it was approximately 70 per cent complete, and had since been abandoned. Mr Amankwah-Asiamah stated that in 1999, the project was reactivated and all the structural framework foundations in the sub-structure were demolished and reconstructed. It was included in the Public Investment Programme of the Ministry of Health but the amount voted, over the years, could not complete it, he said. He said the Maternity and Children’s blocks were identified as critical health infrastructure to prevent congestion. Mr Kwame Agbodza, the Member of Parliament for Adaklu, in supporting the motion, said it may appear as though the cost element was high but the scope of work to be undertaken was huge. He said the contract terms and conditions made Value for Money Audit critical in the execution of the project. Mr Agbodza gave the assurance that the various figures in the Agreement would be scrutinized to enhance transparency. He applauded the Committee for doing a good job saying the terms and conditions are good. He urged government to find money to complete all the abandoned hospital projects in the country to provide good healthcare systems for the people.